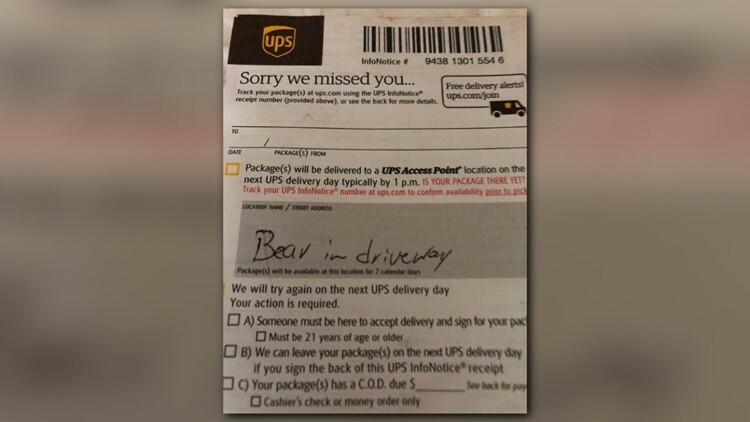 A UPS driver left a note saying a bear blocked his delivery. ASHEVILLE, N.C. — Marcy Lanier is used to bear encounters. When you live in Asheville, it's part of the deal. But a bear has never prevented a package from being delivered to her home -- until last week. That's when Lanier found one of those "Sorry we missed you" notes from the UPS deliveryman. "He left the note on the package in my mailbox instead of putting it on my front porch," she told NBC Charlotte. The note explained why the package didn't make it to the house. It read, "Bear in driveway". Lanier posted the message to Facebook with the caption, "Like I say. Only in Asheville! :)" The picture received dozens of comments, and it was shared more than 2,000 times. 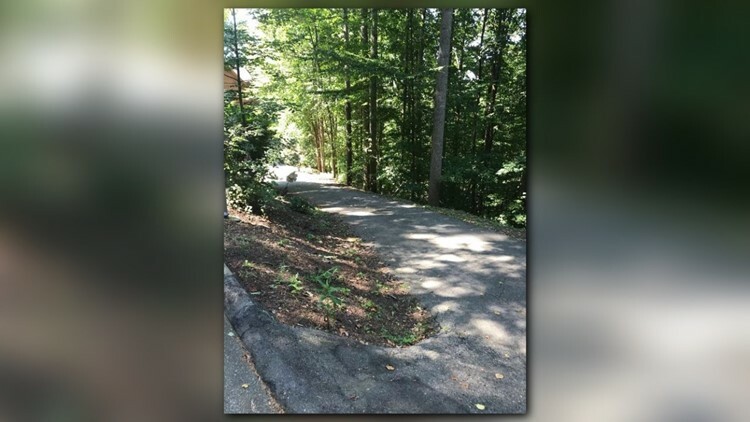 On Tuesday, a high school in Asheville shut down because of a bear sighting, according to the Citizen-Times. The lockdown only lasted a few minutes; classes hadn't started yet. "There was never any threat to any of our students," Ashley-Michelle Thublin, a spokeswoman for Asheville City Schools, told the newspaper. As for Lanier, she's hoping she doesn't meet a bear the next time she goes to the mailbox. "We have had so many bears lately. It’s crazy," she said.